The term harmony derives from the Greek ἁρμονία (harmonía), meaning “joint, agreement, concord”, from the verb ἁρμόζω (harmozo), “to fit together, to join”. The term was often used for the whole field of music, while “music” referred to the arts in general. In Ancient Greece, the term defined the combination of contrasted elements: a higher and lower note. Nevertheless, it is unclear whether the simultaneous sounding of notes was part of ancient Greek musical practice; “harmonía” may have merely provided a system of classification of the relationships between different pitches. In the Middle Ages the term was used to describe two pitches sounding in combination, and in the Renaissance the concept was expanded to denote three pitches sounding together. One is lack of perceptual roughness. Roughness happens when partials (frequency components) lie within a critical bandwidth, which is a measure of the ear’s ability to separate different frequencies. Critical bandwidth lies between 2 and 3 semitones at high frequencies and becomes larger at lower frequencies. The roughness of two simultaneous harmonic complex tones depends on the amplitudes of the harmonics and the interval between the tones. The roughest interval in the chromatic scale is the minor second and its inversion the major seventh. For typical spectral envelopes in the central range, the second roughest interval is the major second and minor seventh, followed by the tritone, the minor third (major sixth), the major third (minor sixth) and the perfect fourth (fifth). Strife, Confusion and Conflict be gone. Spiritually, harmony is achieved when all resonance energy transfers are in balance, creating a continuous flow in and through the body, assisting the mind and enabling the soul to function in a complete rhythm, without any resistance or as stated above, like roughness in music. Have you ever heard people referring to ‘Let it Go’? This refers to blockages we create reacting to situations in life, due to unbalanced emotional responses to life events. By not resisting to life events in the physical, we are actually releasing our energy flow from static, allowing harmony to exist. You, too, can be a Symphony! Spiritual balance is something that all of us innately are. There are many different types of balance. Normally when we think of balance, we have a preconceived notion of what balance is. That notion comes to some extent from our experience as physical beings in a physical world. For example, when we think of balance we think of a basic ratio and proportion, an equation that permits life to exist, as in an ecosystem where balance is achieved through a symbiotic process in which one organism aids another organism in its survival. Ultimately everything is always in a state of balance, though sometimes we prefer one form of balance to another. For example, you may feel that emotional balance is a state that you call happiness. Happiness is achieved for you in a specific way. Happiness may mean making enough money. Happiness may mean having people love you; feeling physically fit; sensing that the work you do is of value, not only to yourself but to others; sexual fulfillment; prestige; infinite awareness or infinite consciousness; spiritual evolution – a sense that you are making progress, that you’re not just walking through the doorway of life again and again without anything occurring, but there is a sense of movement or growth. Some of these are qualities that might fit into your equation of spiritual balance, emotional balance and personal balance. However, spiritual balance is not so easy to achieve – in an ultimate sense. There’s relative spiritual balance, the spiritual balance that you can achieve just by having a harmonious life, but life itself is transitory, it doesn’t really last. Each one of us is a reflection of an eternal process, which is really something that cannot be fathomed or understood with the mind, although we can penetrate its mysteries and enter into and become one with its essence. Spiritual balance is a process that occurs over many, many lifetimes or incarnations. We could say that the process of reincarnation is a process of balance. In each lifetime there are certain formations within the cells that need to be worked on. We do have tools that can assist us on this journey, and knowing how to use them, what they are and where they can help is key to the beginning of your physical transformation into the spiritual world of non – resistance. Our bodies have Chakras that are believed to be centers of the body from which a person can collect energy. They are connected to major organs or glands that govern other body parts. Its name derives from the Sanskrit word for “wheel” or “turning” (cakraṃ चक्रं [ˈtʃəkrə̃], pronounced [ˈtʃəkrə] in Hindi; Pali: cakka चक्क, Oriya: ଚକ୍ର, Malayalam: ചക്രം, Thai: จักระ, Telugu: చక్రo, Tamil: சக்கரம், Kannada: ಚಕ್ರ, Chinese: 輪/轮, pinyin: lún, Tibetan: འཁོར་ལོ་, Wylie: ‘khor lo). 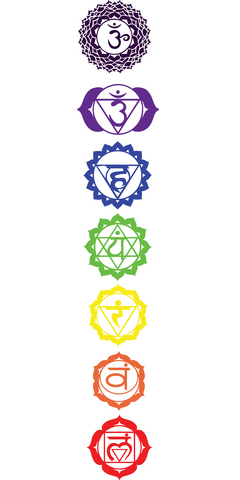 Chakra: (shock-rah) the word chakra is derived from the Sanskrit for wheel. The seven major chakras are energy centres, perceived psychically as spinning wheels or vortices. Each has its own attributes and function. 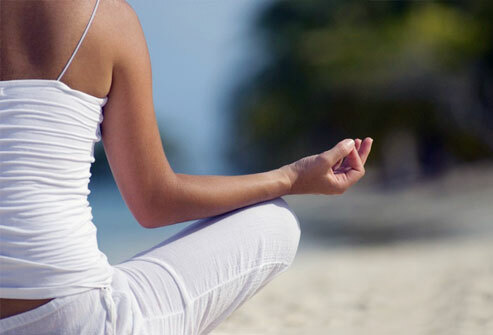 Many holistic therapies aim to balance the chakras, and so promote physical, emotional, mental and spiritual harmony. A prayer wheel is a cylindrical ‘wheel’ (Tibetan: ‘khor) on a spindle made from metal, wood, stone, leather, or even coarse cotton. Traditionally, the mantra Om Mani Padme Hum is written in Sanskrit externally on the wheel. Also sometimes depicted are Dakinis, Protectors and very often the 8 auspicious symbols Ashtamangala. According to the Tibetan Buddhist tradition based on the lineage texts regarding prayer wheels, spinning such a wheel will have much the same meritorious effect as orally reciting the prayers. 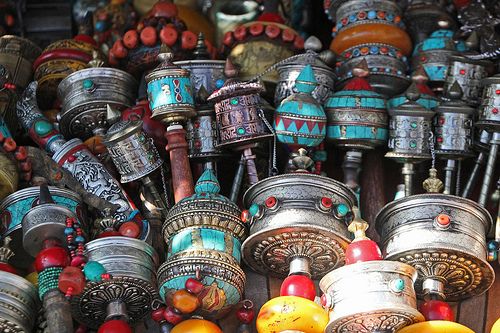 The earliest recorded prayer wheels was written by a Chinese pilgrim around 400 CE. in Ladakh. The concept of the prayer wheel is a physical manifestation of the phrase “turning the wheel of Dharma,” which describes the way in which the Buddha taught. Practice…According to the lineage texts on prayer wheels, prayer wheels are used to accumulate wisdom and merit (good karma) and to purify negativities (bad karma). In Buddhism, Buddhas and Bodhisattvas have created a variety of skillful means (upaya) to help bring practitioners ever closer to realizing enlightenment. The idea of spinning mantras relates to numerous Tantric practices where the Tantric practitioner visualizes mantras revolving around the nadis and especially around the meridian chakras such as the heart and crown. Therefore prayer wheels are a visual aid for developing one’s capacity for these types of Tantric visualizations. The spiritual method for those practicing with a prayer wheel is very specific (with slight variations according to different Buddhist sects). The practitioner most often spins the wheel clockwise, as the direction the mantras are written is that of the movement of the sun across the sky. On rare occasions, advanced Tantric practitioners such as Senge Dongma, the Lion-Faced Dakini spin prayer wheels counterclockwise to manifest a more wrathful protective energy. As the practitioner turns the wheel, it is best to focus the mind and repeat the Om Mani Padme Hum mantra. Not only does this increase the merit earned by the wheel’s use but it is a mind stabilization technique that trains the mind while the body is in motion. Intoning the mani mantra with mindfullness and the “Bodhicitta” motivation dramatically enhances the effects of the prayer wheel. However, it is said that even turning it while distracted has benefits and merits and it states in the lineage text that even insects that cross a prayer wheel’s shadow will get some benefit. Each revolution is as meritorious as reading the inscription aloud as many times as it is written on the scroll, and this means that the more Om Mani Padme Hum mantras that are inside a prayer wheel then the more powerful it is. It’s best to turn the wheel with a gentle rhythm and not too fast or frantically. While turning smoothly keep in mind the motivation and spirit of compassion and bodhichitta (the noble mind that aspires to full enlightenment for the benefit of all beings). The benefits attributed to the practice of turning the wheel are vast. Not only does it help wisdom, compassion and bodhichitta arise in the practitioner, it also enhances siddhis (spiritual powers such as clairvoyance, precognition, reading others thoughts, etc…). The practitioner can repeat the mantra as many times as possible during the turning of the wheel, stabilizing a calm meditative mind. At the end of a practice session there’s a Tibetan Buddhist tradition of dedicating any accumulated merits that you may have gathered during practice to the benefit of all sentient beings. Then Om Ah Hum 3 times. This is customary with Tibetans upon completing any Buddhist practice including the practice of the prayer wheel. Zopa Rinpoche has commented that installing a prayer wheel has the capacity to completely transform a place “…peaceful, pleasant, and conducive to the mind.” Simply touching a prayer wheel is said to bring great purification to negative karmas and obscurations. The right to be here: simply to exist, take care of ourselves, and have possessions. Affects the adrenal system, the spine, the kidneys and represents your individual life force and energy. Fear: Comes when one’s survival is threatened. May force energy into the upper chakras. The right to feel: to express and understand one’s emotions, needs, and wants. Affects the gonads, reproductive system, influences your sexuality, artistry and creativity. Guilt: Keeps us from reaching out, hindering emotional and sexual ties with others. Shame: Hinders spontaneity, self-esteem, and personal power, turning one’s will and power in upon themselves. The right to love and be loved: freedom from projected or received prejudice, low self-esteem, and violent conflict. Being the central chakra, if any of the other rights is harmed, the right to love may be harmed as well. Affects heart, lungs, circulation, thymus gland, influences your personal love and unconditional love issues. Joy/Grief: Hinders the love and lightness of the heart, leaving a heavy burden on one’s persona. The right to speak and hear truth: Transgressions include: not be listened to, family secrets, and not being spoken to honestly. Affects thyroid gland, vocal and bronchial areas, influences your communication issues. Lies/Deceit: Misinformation/miscommunication/misunderstanding hinders our relationship to ourselves and to the world. The right to see: Transgressions include: being told our perception is inaccurate, having things deliberately hidden from us, and having the scope of ones vision denied. Affects pituitary gland, eyes, ears, brain, influences your psychic abilities. Illusion: Looking at things incorrectly, not seeing the big picture, and seeing only what one wants to see, can hinder our perception. The right to know: the right to truth, accurate information, knowledge, and to simply know what’s going on. This includes spiritual knowledge and the right to connect with and interpret the divine as one chooses. Affects pineal gland, upper brain, influences your connection with Higher Spiritual aspects and God. Attachment: Holding on to the pointless and focusing all of one’s attention in one area can obscure the big picture and hinder our relationship with the divine. Quantum Physics is showing us that everything is made from the same energy. The energy vibrates in different wavelengths to give us all the things we see and experience in our universe. We, too, are made from this energy and have ‘energy bodies’ in addition to our physical bodies. 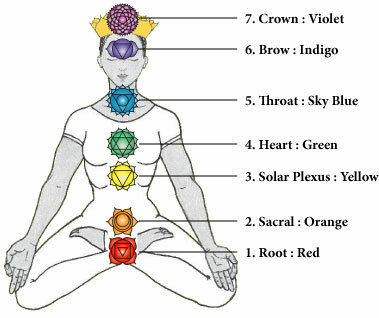 Within our energy bodies are the seven chakras or energy centers that regulate certain of our physical organs and areas of our lives. If you have health problems or difficulties in your life, the source is often negative energy that has been lodged in your energy fields as the result of some past trauma or exposure to negativity from your environment. Here are some techniques to help you release that negative energy quickly. Get into a comfortable sitting posture with your spine in an upright position. Sitting cross-legged on the floor is good. Many people who meditate use a half or full lotus position, however these sitting posture may prove too uncomfortable for the average person. Try this alternative: Sit on a large cushion or pillow on the floor and let your legs rest on the floor in front of you. This achieves the goal of tilting your pelvis forward so that your spine will naturally curve forwards with gravity. Spend a few minutes relaxing and quieting your mind. To relax most effectively, take a series of deep breaths. Three is usually good. Hold each breath for a short time and, as you exhale, tell yourself to relax. Feel your muscles relaxing. On the third breath, tell yourself to mentally relax. Let go of your thoughts and just observe them. The key here is to let go and not try to control your thoughts. Watch them like they were clouds drifting by and just ‘let go’.